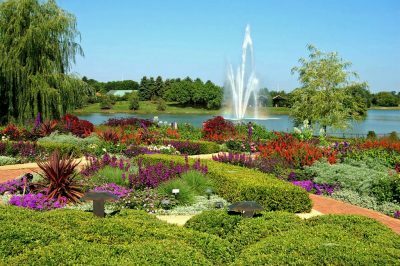 Located in Glencoe, IL, just 35 miles south Racine, the Chicago Botanic Garden is one of the world’s greatest living museums and conservation science centers. In 2017, more than one million people visited the Garden’s 27 gardens and four natural areas. Uniquely situated on 385 acres on and around nine islands, with six miles of lake shoreline, the Garden also has a renowned Bonsai Collection. The Garden’s Lenhardt Library contains 150,000 volumes—including one of the nation’s best collections of rare botanical books. We’ll enjoy a 2.6 mile guided tram tour around the Garden and a delightful included lunch in the Garden View Café. We’ll be at the Garden from 11:00 AM until 4:00 PM. Moderate to significant self-paced walking.